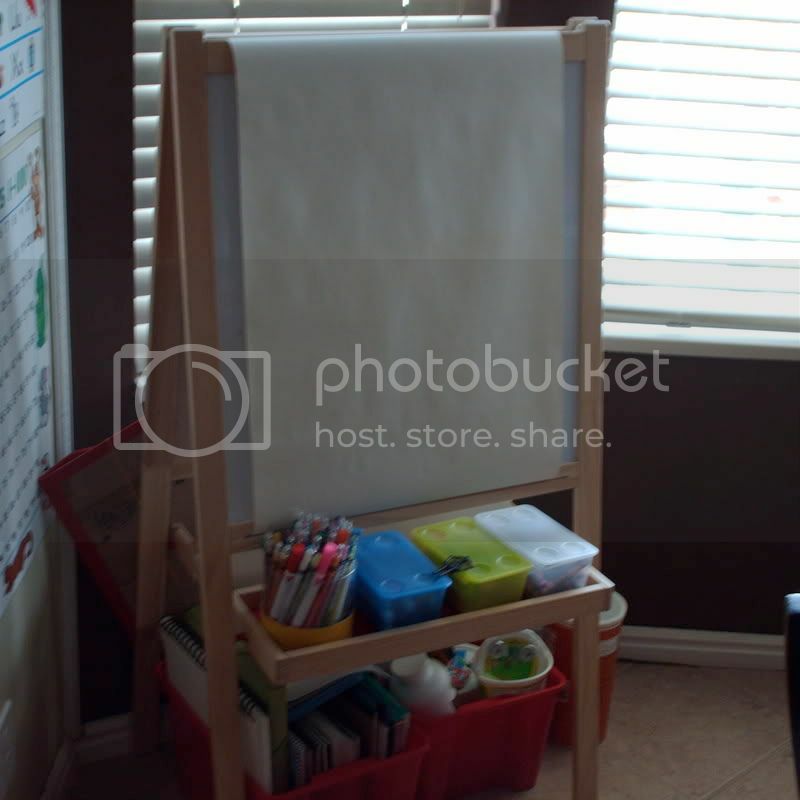 This is an easel from Ikea (of course). Every two weeks or so, I pull out fresh paper. We keep crayons, markers and pencils handy. There is no set drawing time at our house. And slowly it gets filled up (faster if my sister-in-law comes to visit - maybe she needs one of her own?). 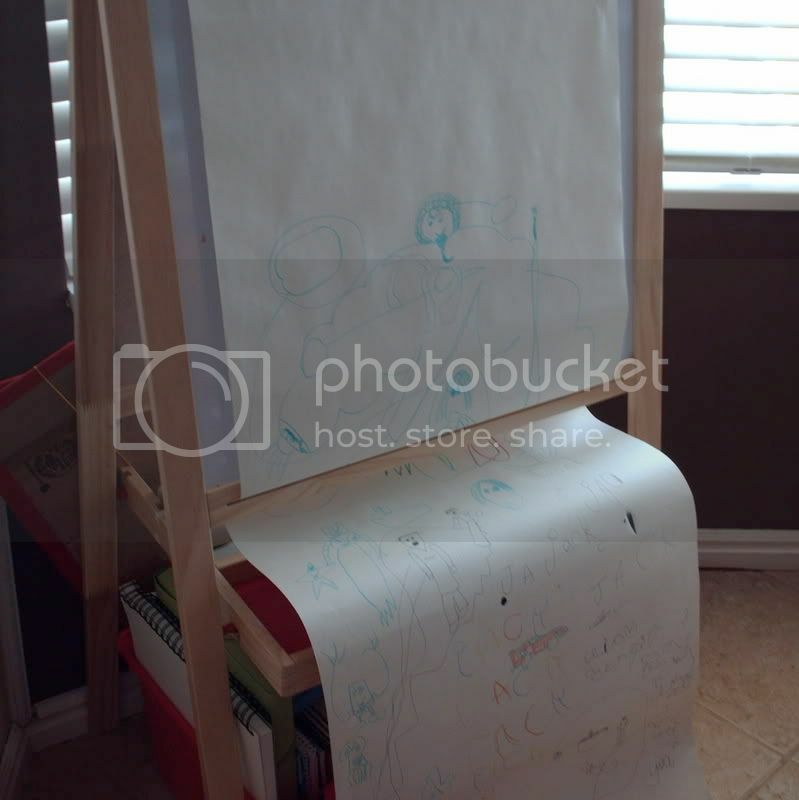 I love seeing what each boy has drawn. It is a collaborative effort, with each adding to what the other has drawn. I think they like seeing what the other has drawn as much as I do. 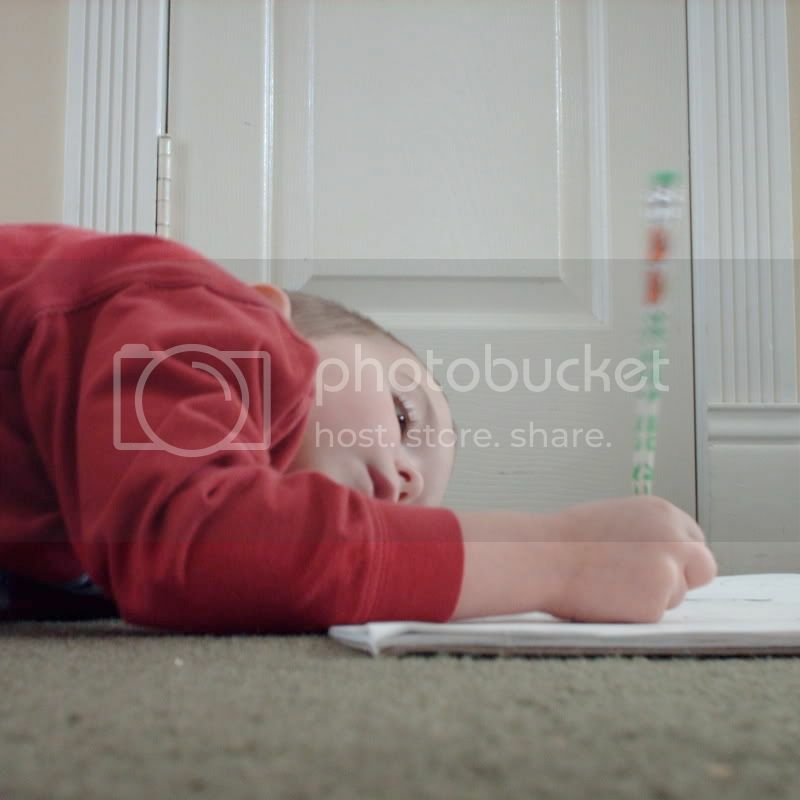 And here's Jack, drawing on a large notepad at the top of the stairs. Maybe not the ideal place to be drawing, but it works.